SWPPP, Stormwater, and MS4 inspection and software system. 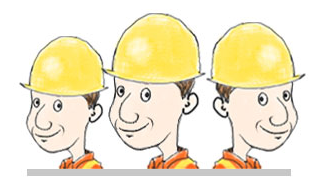 for MS4s, DOTs, builders, developers, contractors, consultants and environmental agencies. But not anymore. . .with SWPPPTrack! SWPPPTrack makes compliance easy and saves tons of time! SWPPPTrack’s easy-to-use inspection apps streamline inspections. SWPPPTrack's robust Command Center (with its automated workflow processes, comprehensive reporting suite, weather tracking interface, document management tools and powerful communications engine) does everything else...Automatically! Your work is reduced to just one simple step! Just walk a site with your smartphone. The SWPPPTrack inspection app guides you through an easy-to-use inspection process. Simply dictate notes and snap photos as you walk. At the end of your walk touch submit and your inspection is complete. AND instantly, so is every other post inspection task you are accustomed to dealing with! No More Time Wasted - Let SWPPPTrack do the rest for you - Automatically! create, send and store reports. create and send work items and deficiencies. communicate and follow up with project stakeholders (no more phone or email tag). keep track of work item completion. keep track of inspection scheduling and timeliness. keep track of weather events. keep track of documents and people affiliated with your projects. escalate outstanding compliance issues, as desired. Need to complete a Rain Event Action Plan? Just grab your phone and go. SWPPPTrack can do REAPs too! SWPPPTrack gives you the flexibility to perform inspections and track data for entire projects, individual building sites, post construction BMPs, facilities and even citizen concerns. 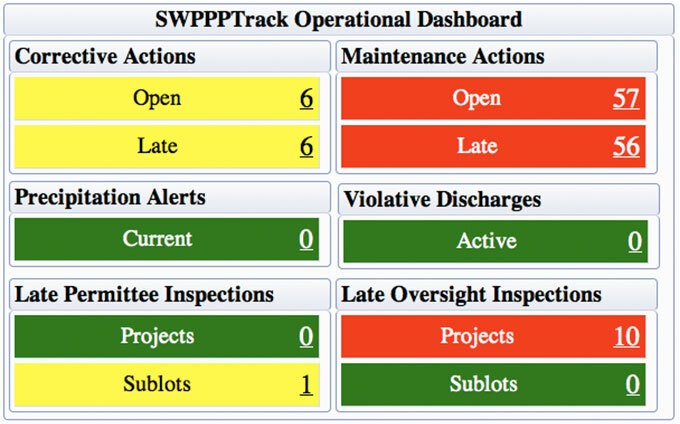 SWPPPTrack knows which projects you are responsible for. Simply select the appropriate site and begin your inspection. When a deficiency is identified designate the type of action required. Then dictate notes and take photos with your device. They automatically attach to the inspection. Simply sign on the screen and touch submit. The inspection is logged and the report is created and delivered. Work items are delivered with location, notes and photos to the responsible parties. SWPPPTrack can continue to follow up for you automatically until work is completed, if desired. SWPPPTrack's customers have completed thousands of inspections from coast to coast. It's been a game changer for cities, counties, contractors, builders, service providers and DOT's. With SWPPPTrack YOU are in control. SWPPPTrack can be configured to meet your needs and your processes. Whether you are a DOT, municipality, builder, developer, private inspector, consultant, service provider, environmental agency or anything in between, SWPPPTrack will deliver a tailored fit for the work you do. With the SWPPPTrack Command Center, all your storm water pollution prevention related data is automatically gathered, stored and managed on secure servers, then it's analyzed, formatted and presented on intuitive dashboards. Want to know how your organization is performing? Simply log onto your secure SWPPPTrack account and it’s all there. You are always just a click or two away from the answer to any question you can imagine. Could you be subject to an audit? SWPPPTrack’s proprietary Active Audit feature lets you perform a thorough and comprehensive self audit with just one click. AND with SWPPPTrack’s document management tools you can be 100% paperless! You will no longer need to store even one piece of SWPPP related paper. No permits, no plans, no reports….nothing! SWPPPTrack even provides annual MS4 reporting data with just one click. SWPPPTrack keeps track of all of your projects and the people affiliated with each of them. SWPPPTrack’s powerful event tracking and notification engines ensure that everyone gets exactly the information they need when they need it. SWPPPTrack even keeps track of open NOI’s and (when it’s time) reminds you to file your NOT’s. SWPPPTrack is cloud based, so you don’t have to mess with anything technical. It requires no installation of software, other than the Inspection App on inspectors’ smartphones or tablets. SWPPPTrack sprang from the minds of the Web App Express development team. Web App Express has designed and developed software and cloud-based apps (like SWPPPTrack) that automate and simplify some of the most complex business processes imaginable. Our clients include demanding organizations from both the private and public sectors. One of our founders has nearly three decades of experience in development and construction. We have felt your pain! We’re headquartered in Ohio and bring a Midwestern work ethic and sensibility to everything we do. Wait a Second, What’s the Catch?? "Is it hard to use?" "Will we have the support we need?" It’s not expensive. In fact, the system can be free for government agencies using it in conjunction with the builders and developers they serve. We spent a couple man-years designing it to be simple to use, AND, you are just a click or call away from our service and support team. All text, design and content is Copyright 2014-2019 Storm Water Simplified Ltd.All rights reserved.